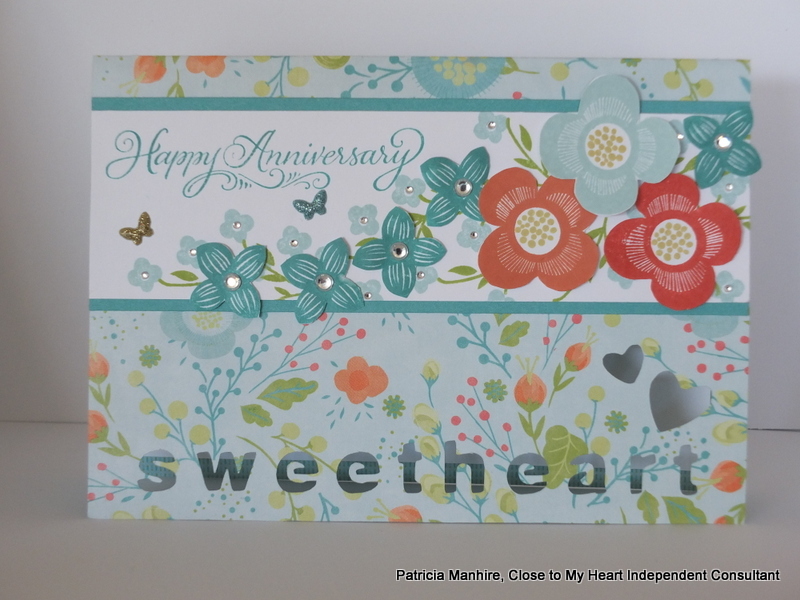 I have run out of wedding anniversary cards at Gift Hutt and had some fun today making some more – plus I got carried away and made a couple of wedding cards. I am really starting to get into the Artfully Sent Cricut cartridge and doing more with it. This first card has been cut at 7″ (although I had to resize it a little on Cricut Craft Room) using the gorgeous Blossom papers using the sentiment key on page 35. I just can’t get enough of this paper and the matching stamp set Shower Flowers and had some fun stamping and cutting flowers out to put on the card. I have finished the card with some clear sparkles and a couple of little butterflies from the Junebug Puffies which are still available under while supplies last. 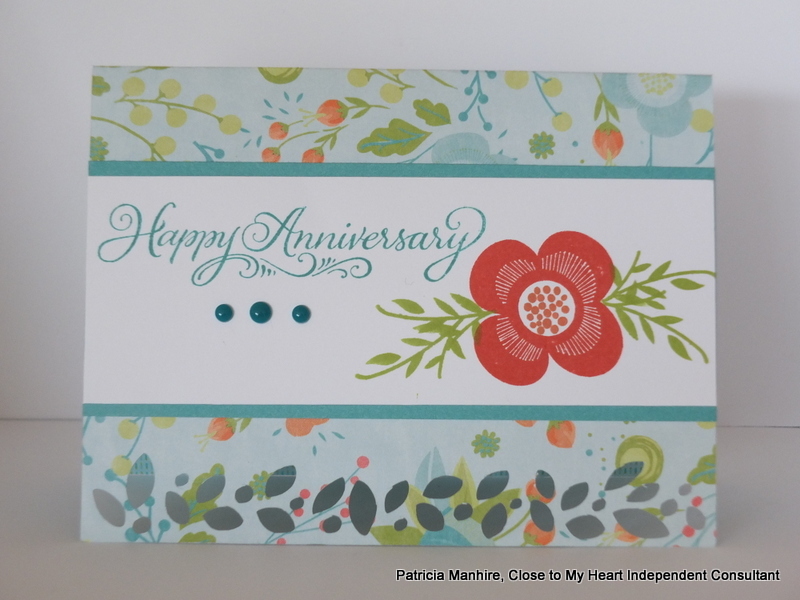 These cards are so easy to make and this one is based on a pattern from CTMH Head Office and I have changed it to an anniversary card and added some aqua dots. The card has been cut from the Blossom floral B&T papers at 4 1/2″ Shift+sentiment <w> (pg 12). I still have some remnants of the lovely Skylark papers and this corner of the paper was perfect for an anniversary card. 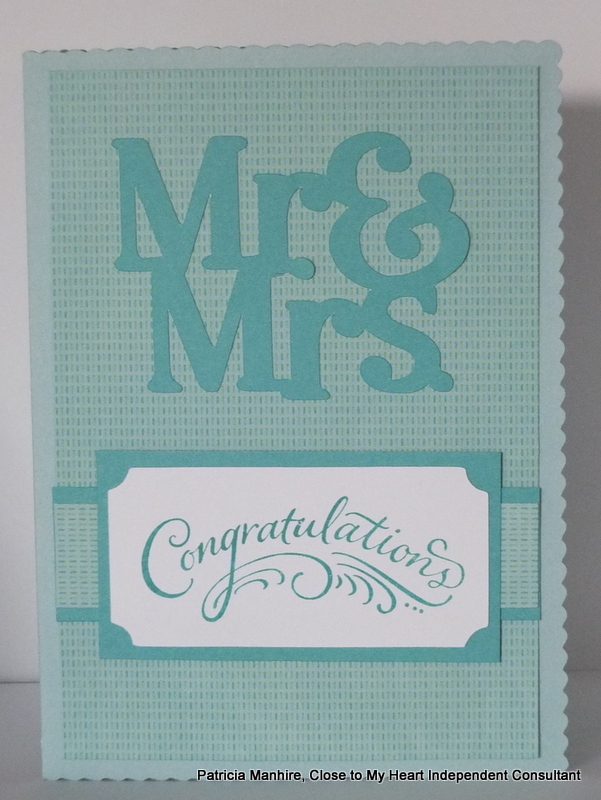 I just added some extra ribbons with Glacier cardstock and a strip of Teal shimmer trim and some aqua dots. This card was made using a cut from the the Art Philosophy cartridge which I resized in CCR to fit the base card. I then used the Hide/Contour function to just cut out the oval in White Daisy cardstock for the centre. 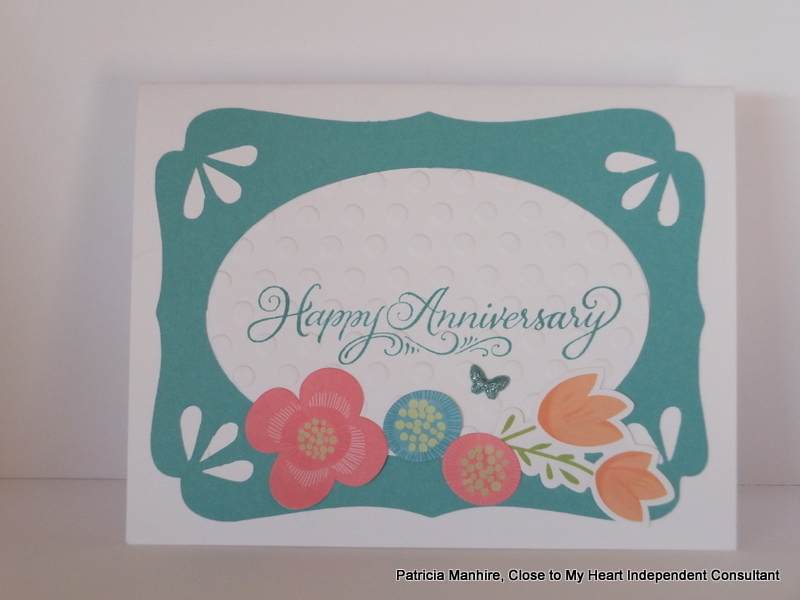 I stamped the sentiment first and then embossed with the Dots embossing folder. To finish off I have used some of the Blossom complements flowers and a a little Junebug Puffy butterfly. This card has been made using a pocket card cut from the Artfully Sent cartridge. 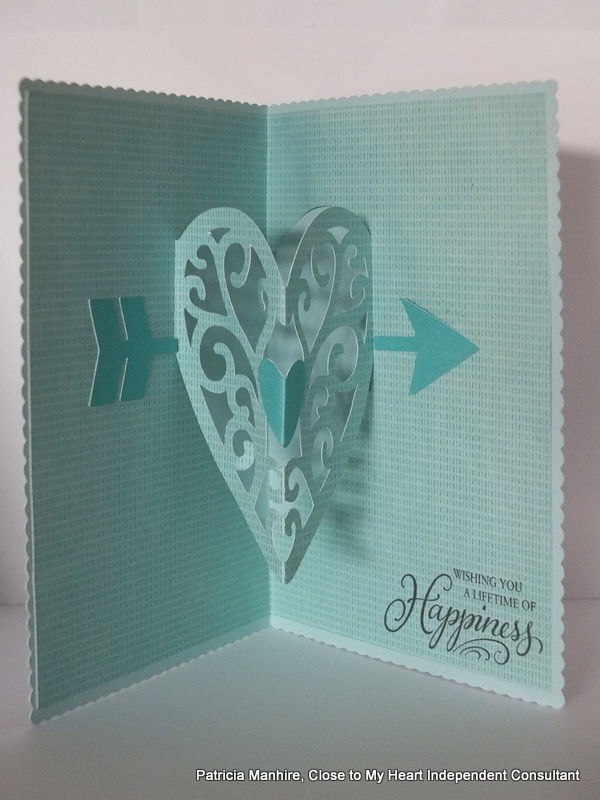 I have cut this card using the CCR to size to fit the 4 1/4″ x 5 1/2″ card out of Pixie cardstock and then placed it over the heart papers from the Whimsy Fundamental papers. It fitted perfectly. I used a pre-cut heart (sorry I can’t remember the size but I think it might have been 2″) and stamped the lovely heart stamp from the Hostess stamp set Paper Bird. I added the sentiment from the Artfully Sent Just to Say stamp set in Black ink. To finish I added a Pixie extra thick twine bow. I have found using glue dots very effective in adhering the twine onto the cards. Much quicker and easier than using liquid glass. Finally I did my first pop up card from page 35 and was very happy with the outcome. I cut the base card at 7″ in Glacier cardstock after making some minor adjustments in CCR. 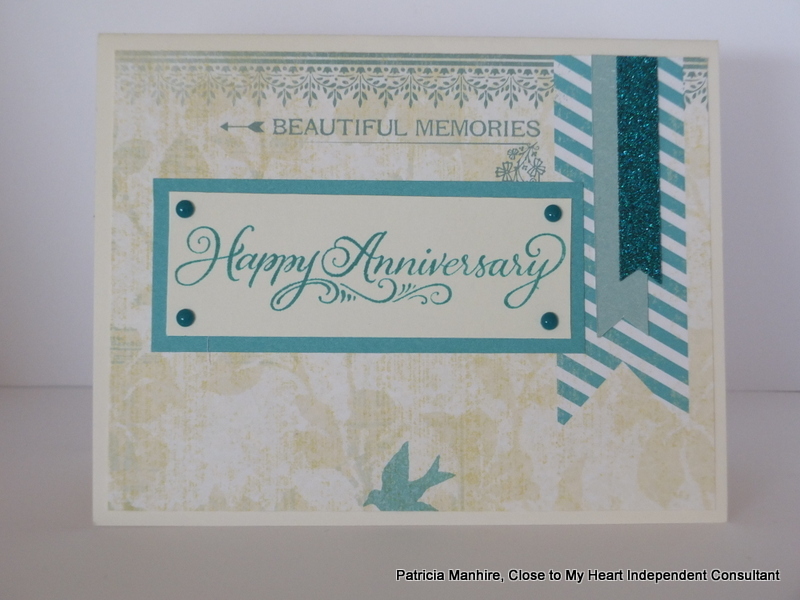 I am finding I use CCR all the time to do my die cutting as it is easy to size and layer my cuts. The ‘pop up’ has been cut from the blue base paper from the B&T papers. I then cut the icons from Lagoon cardstock and added them to the card. The sentiment, Mr & Mrs, on the front has been cut from the Artiste cartridge page 61. I have stamped the sentiment from the Happy Couple stamp set on a cut from the Art Philosophy cartridge (page 25) that I had cut a while ago and I can’t remember the size sorry. All products I have used (except for Skylark papers) are available for sale from my website here, or just click on any of the highlighted words above. All these cards will be available for sale from Gift Hutt and the website is now up and running, although I still have lots of photos to upload.